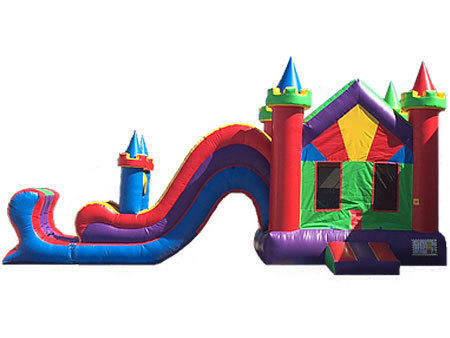 This Bounce with Slide Castle is Truly Unique! Bright, vibrant colors and custom design. The Unique Castle Combo is one of a kind! 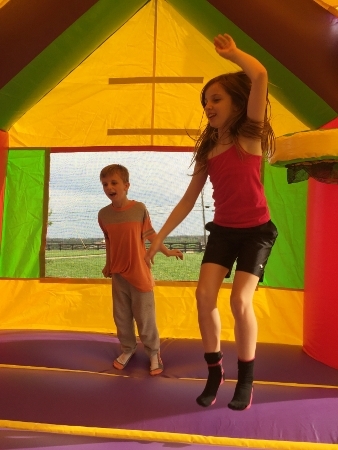 Boys and girls of all ages absolutely love this bounce house with slide combo. The large jumping area features a basketball hoop and a climbing ladder up to the slide. Parents can also keep a watchful eye on the action inside with 360 degree mesh windows. Finish the ride with an exciting exit, down the slide to the huge stopper, and start all over again. The "secret cove" area under the slide make for a great hiding place! Secure your date, before it's to late! Large Jumping Area & Slide! 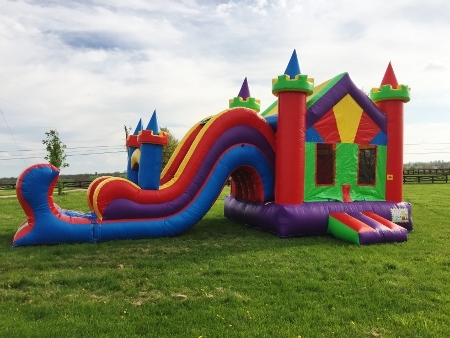 Reserve The Unique Castle Combo Today!